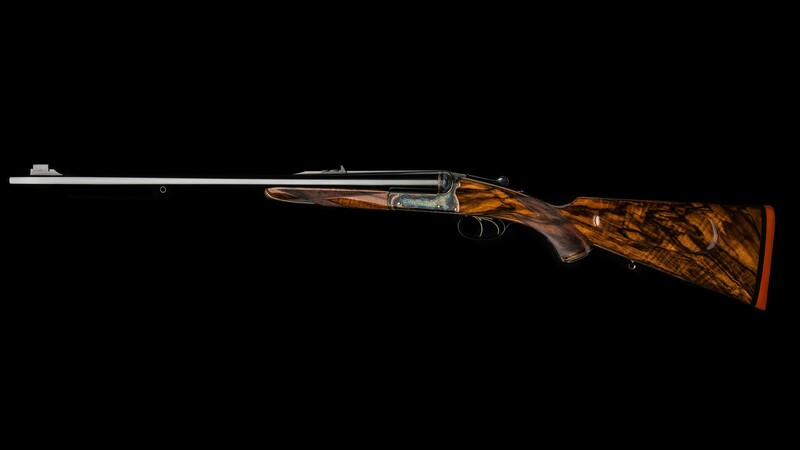 Former W.J.Jeffery director Charles Williams and gunmaker Mark Mitchell of Scotland are the architects of this beautiful and brand new W.J.Jeffery rifle in the caliber .450-400. Mark Mitchell is a veteran of the British gun trade and worked for many of the prestigious British gun firms before re-locating to Scotland where he resides today. He does work for the gun trade, primarily as actioner. After receiving the green light from Mr. Williams, Mark went to work and created an exact copy of a vintage W.J.Jeffery box lock double rifle. 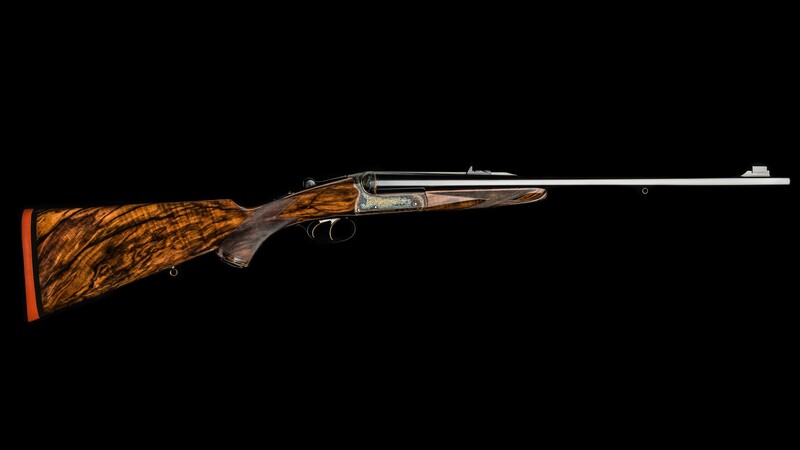 The action on this rifle is not a replica of a bulky Webley & Scott action that so often was utilized in vintage British double rifles. Rather it is based on a more appropriate sized and more re-fined action made by the Lenard shop of Birmingham. 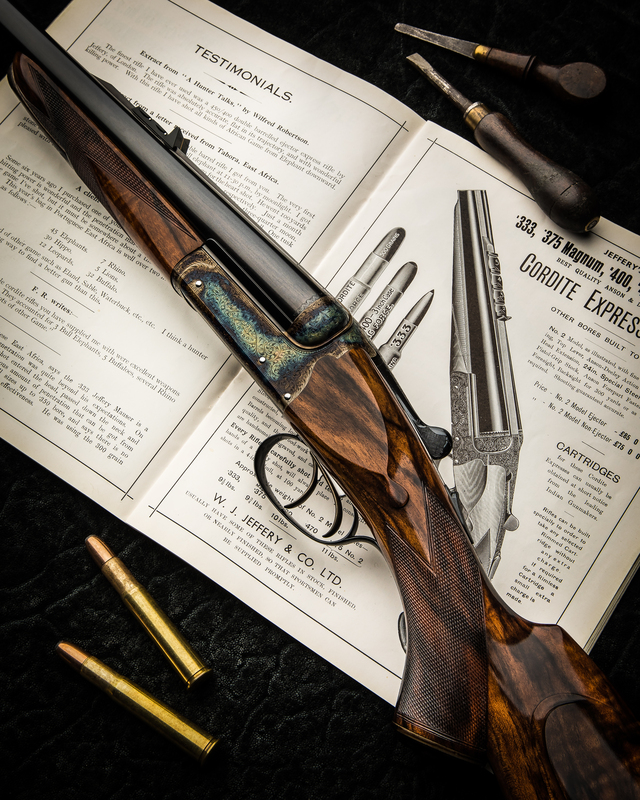 I have seen in the past double rifles by this maker and the handling is usually superb. 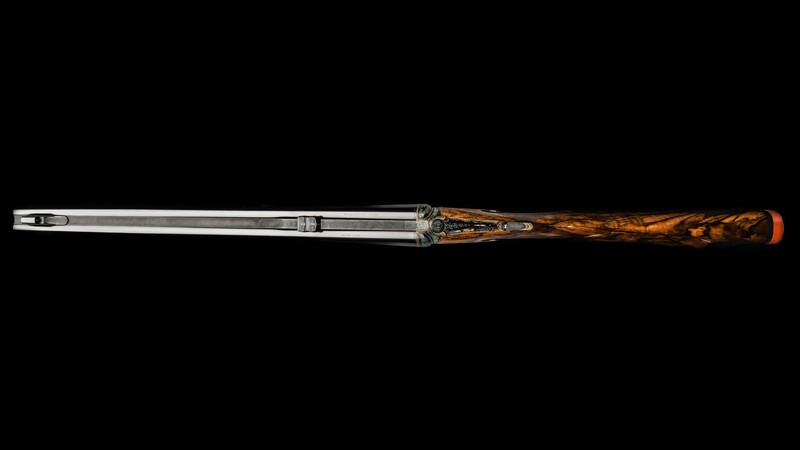 Some of you may have seen pictures of the famous Jim Corbett double rifle, which was also created for Jeffery by the Lenard shop. As often which such projects, a number of craftsmen had a hand in it, such as the barrel maker, machinist, stocker, engraver and finisher. However, Mr. Mitchell oversaw everything from start to finish and I think the result speaks for itself. It is important for a craftsman to have a network of colleagues where advise and sometimes encouragement can be had. I’m very happy to have Mr. Mitchell in my network and to have as a friend. These days people of his caliber are increasingly rare.